Located along the Wabash River in Indiana is the lovely city of Terre Haute. This city is well-known for its quaint downtown, beautiful neighborhoods and for its abundant selection of higher education options. Terre Haute is home to Indiana State University, Saint Mary-of-the-Woods College, Rose-Hulman Institute of Technology and more. To keep yourself educated about how you can protect your Terre Haute property from the many species of insects, rodents, and other pests that also unfortunately call this area of Indiana home, turn to the pest control experts at Action Pest Control. Our professionals want to work with you as a team to ensure that your residential or commercial property becomes and stays free of potentially dangerous, damaging, and disease introducing pests. Take “action” today against pests and contact the pros at Action Pest Control to perform a thorough inspection of your home or business and put into place a plan of “action” to eliminate your property’s pest problems once and for all! Termites are very much a problem across the country, including right here in Terre Haute. Termites hide behind walls and in the structure of your home, making them not only hard to detect but difficult to eradicate without the help of a professional. Action offers termite control services that include the use of Termidor. No matter how severe the infestation, Action's comprehensive termite services are sure to give you peace of mind. At Action Pest Control, we understand that families and businesses have a lot of options when it comes choosing pest control services in Terre Haute. We're also proud to let you know that our current customers have often described us as "knowledgeable", "trustworthy", "effective" and "professional" making us the logical choice for those searching for pest control. From spiders to mice, bed bugs to termites, the professionals at Action can customize a pest control service that will fit your needs. We address the conditions attracting pests, correct those conditions and implement a plan to keep pests out for good. If you're ready to take back your home or business from pests, take action and get Action today! Offering our Terre Haute customers convenient, affordable and effective year-round pest control programs is how Action Pest Control protects homes and families from the problems that a pest invasion can create. We offer four different residential pest control programs for our customers to choose from. Our Essential program has been specifically created for our homeowners that experience minimal insect activity inside of their home. This program protects homes and families from insect activity by maintaining a preventative barrier against pests around their home. Our Advanced program protects your home from nuisance and damaging insects and has been specifically designed to target and control the most common household pests. 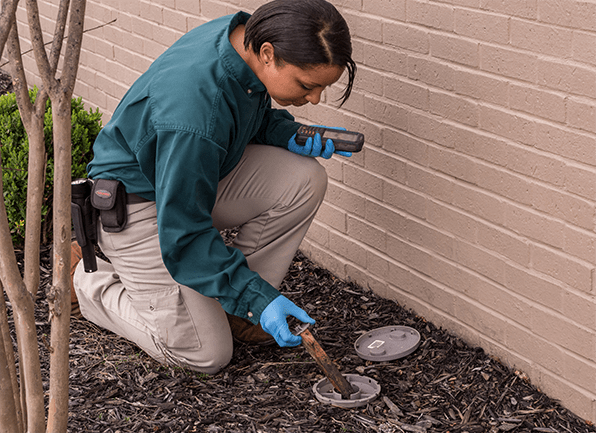 Our Complete program protects your home from common insects, rodents, and termites through an annual termite inspection and our termite monitoring service. And finally, our Premier program provides the most comprehensive protection against common insects and rodents in addition to superior protection against termites through inspection, monitoring, treatments, and a warranty. To discover which program is the right fit for your Terre Haute home and budget, contact us today and speak with one of our friendly and helpful professionals. “I love having large numbers of swarming, biting, disease spreading mosquitoes living on my property”, said no homeowner ever! Mosquitoes are definitely not a pest that most people can or should tolerate; they have the ability to ruin any outdoor activity or event and can make spending time in your own backyard intolerable. To protect your Terre Haute family and friends from being bitten by mosquitoes, the professionals at Action Pest Control have developed effective mosquito control programs. A seasonal monthly service that runs from April through October to provide continuous protection against mosquitoes on your Terre Haute property throughout their entire active season. A one-time service to treat an outdoor space before hosting a large party or other outdoor event. A community wide abatement service to protect entire communities/neighborhoods from the dangers of large mosquito populations. Pharmaceutical companies, healthcare facilities, restaurants, food processing facilities, hotels, motels, and multi-unit housing complexes are all example of commercial properties that the Indiana pest professionals found at Action Pest Control protect from invading pests. We provide our Terre Haute commercial customers with a comprehensive preventative pest management program that provides the services needed to eliminate the pest that are currently living in your facility and then provides the routine maintenance services needed to prevent their return. Our 10-step preventative pest management program includes the following: inspections, monitoring, identification, sanitation, exclusion, harbor reduction, mechanical controls, environmental control, product application, and documentation services. Action Pest Control relies on the eco-friendly principles of Integrated Pest Management to help create an environment inside of your business that is no longer attractive to pests. To learn more about working together to maintain a pest-free environment inside of your Terre Haute business, give us a call today. The answer to the question of why Terre Haute resident need year-round termite control to protect their properties from wood-eating termites is simple, it is because termites are active year-round and have the potential to invade any Terre Haute home or structure to feed on its structural wood and subsequently cause significant and costly structural damages. To learn more about our highly effective, year-round termite control services, give us a call today at Action Pest Control. What Is Causing All These Mosquitoes in Terre Haute?